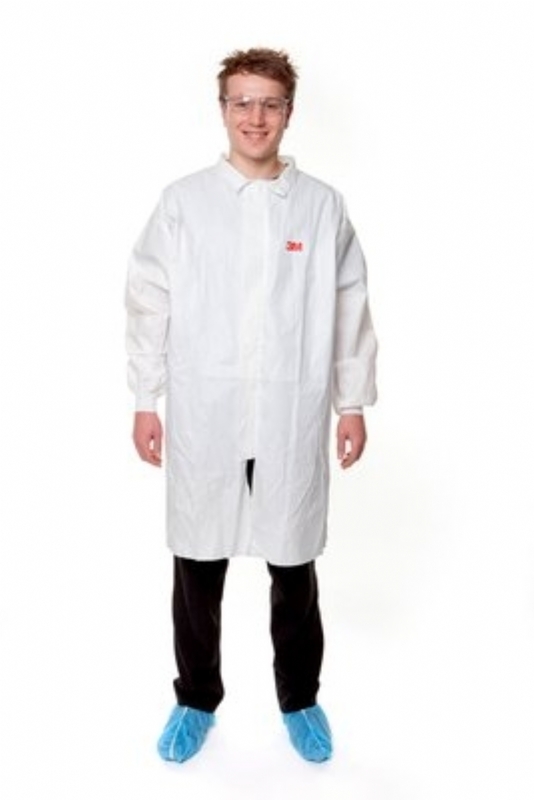 3M™ Protective Lab Coat 4440 is disposable safety work wear made from a light weight laminate material. It helps protect the wearer against non-hazardous dusts and non-hazardous light liquid splashes. • Microporous material to help reduce heat build up.